Most popcorn recipes call for 1/3 of a cup to 1 full cup of popcorn kernels to make several servings of popcorn. In its 3-quart recipe, the "Fannie Farmer Cookbook" calls for 1/2 cup of popcorn kernels. Therefore, 1 tbsp. of kernels yields 1 1/2 cups of popped popcorn. 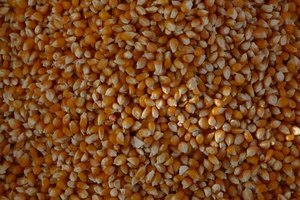 Popcorn kernels should be fresh and plump. To keep them from drying out, store them in a jar with a lid in the refrigerator or freezer. If the kernels start to dry out, Marion Cunningham of the "Fannie Farmer Cookbook" advises adding a tablespoon or two of water for each two cups of kernels and shaking the jar to distribute the water. 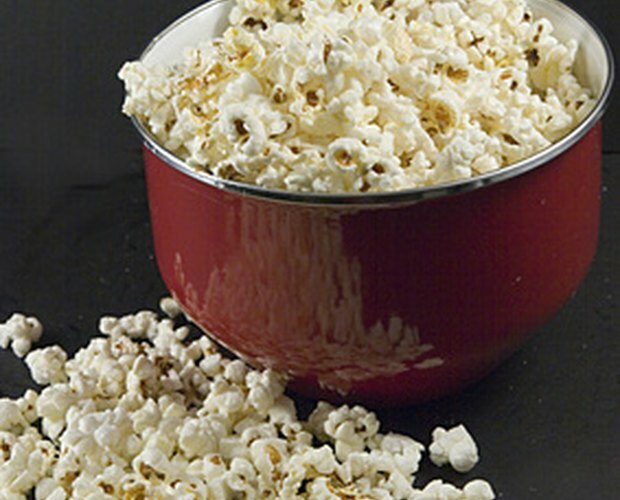 Popcorn provides a great canvas for you to experiment with flavor combinations. 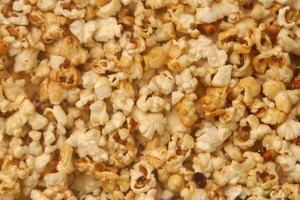 Season your popcorn with something as simple as a little grated Parmesan cheese or as quirky as pumpkin pie spices. 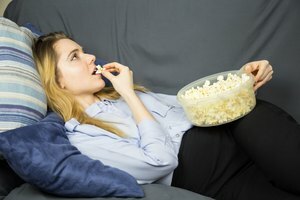 In "Everyday Italian," Giada de Laurentiis even substitutes rosemary-infused olive oil for the butter of the conventional popcorn recipe, rendering basic popcorn "elegant and sophisticated." For a lighter version of the traditional snack, reduce the amount of butter and salt in your recipe. You may even replace the butter entirely with olive oil for a version that is both lighter and vegan. What Can I Put in Cream of Wheat?